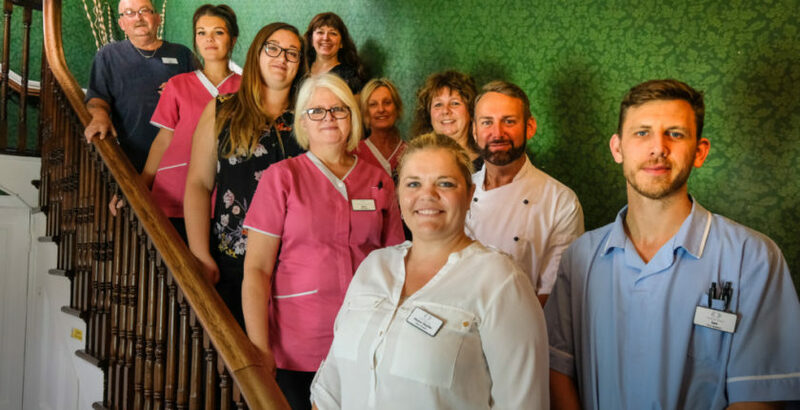 Healthcare Homes group has announced the appointment of Hanro Steytler as its new manager of its Oaklands House care home in Reydon near Southwold. Prior to joining Oaklands House, Hanro was the deputy manager of Aldringham Court Nursing Home in Leiston, another of the homes within the Healthcare Homes group. She has worked within the care industry for many years, learning the service whilst at university as a care assistant, and working in every department of the care home environment before moving her way up towards management positions. Hanro said: “I’m really looking forward to life here at Oaklands House; from the moment I entered the building I felt at home. There really is a wonderful environment here – the residents are so happy, the team is positive and passionate, and they have done so much work to be proud of. Joining Hanro is new head of care, Alice Chapman from Beccles, who comes from Healthcare Homes’ The White House where she worked as senior care assistant.